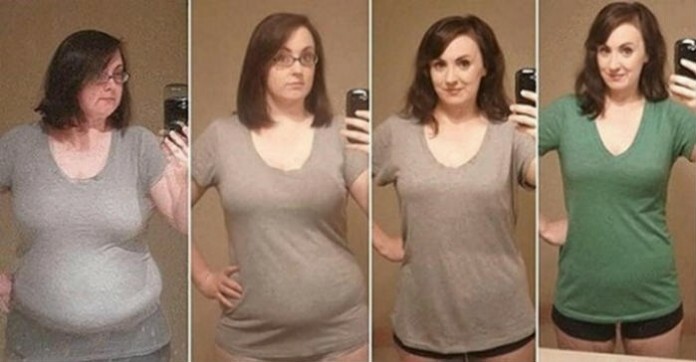 Dramatic weight loss transformations have gone viral! Losing weight can be difficult for some people, but this woman lost 40 kilos (around 88 pounds!) in a year by making three consistent changes. Don’t give up on your weight loss goals, make a few simple changes and get prepared to be amazed. This young woman, named Amanda, decided to take an adventure on the weight loss train. She changed some dietary routines in her life that not only changed her appearance, but her wellbeing as well. Amanda weighed around 108 kilos (222 pounds) when she finally decided to do something about her bothering weight.